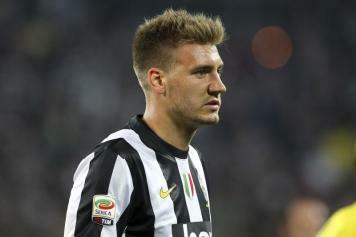 No matter if Juventus will succeed in signing a new striker or not, 24 year old Nicklas Bendtner seems intended to leave Turin. As sublined by calciomercato.com, the Denmark international –actually playing for the Serie A defending champions on loan with right to buy from Arsenal- has become the fifth choice for the offensive line of coach Antonio Conte’s team, and also The Sun substains that the Dane will move back to London in January. Another player intended to leave the bianconeri is 34 year old center back Lucio; interviewed by Bild, the former Inter Milan player has declared that he is not considered by coach Antonio Conte, that he and his family have been very happy in both Munich and Leverkusen and that a transfer to Germany, where he is tracked by Wolfsburg, is considered as a great oportunity. Also AC Milan are thinking about yielding some of their players, and, as reported yesterday, the situation of 23 year old forward Alexandre Pato remains uncertain: but, interviewed by TMW, Gilmar Veloz, agent of the Brazil international, has assured that his client will remain at “San Siro”. Regarding the new signings, Stuttgart have made, according to the Polish medias, a 1,7 million euros offer to Gornik Zabrze for 18 year old forward Arkadiusz Milik, considered a Lombard club’s target.